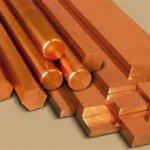 Nickel Leaded Commercial Bronze is also a free machining brass with a higher electrical and thermal conductivity than that of standard free machining brass,Very likely C31400, C31600 Nickel Leaded Commercial Bronze is not only comprise about 89% copper, 8% zinc, and 2% lead, but also contains 1% nickel. This alloy combines the natural corrosion resistance and machinability of C31400 with a higher tensile and yield strength thanks to the controlled addition of nickel. The relatively low zinc content provides excellent corrosion resistance in potable water along with a pleasing golden color that matches C22000 hardware. 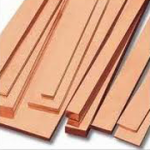 It also possesses a particular resistance to stress corrosion cracking, so it is an alloy suitable for outdoor use where higher strength is required in comparison with the C31400.